A decade ago, when Oleg Deripaska trusted Gulzhan Moldazhova, his principal money-changer, to negotiate with China, the authorities in Beijing were reluctant to agree to permitting what was then called Russian Aluminium (Rusal) to open a representative office in Beijing. Until then Rusal had exported aluminium to China through international traders and warehousers in Hong Kong. The Chinese method for saying no to Rusal at the time was to say nothing – and delay. The significance of China as a trade destination for Rusal metal has now been overtaken by its importance as a source of capital – first off in the form of equity to swap for Rusal’s $12 billion debt; but to date there has been no significant stakeholder from the mainland to hold shares in Rusal. With just $20 million in cornerstone investment in the Rusal IPO, Kuok Hock Nien of Hong Kong doesn’t count as significant. More recently, Chinese capital has been needed in the form of financing for Deripaska’s electricity production unit, Eurosibenergo. The business calculation here is that if Deripaska can fill the Eurosibenergo balloon with Chinese government cash, tied to the commitment to deliver electricity supplies across the border, the Russian authorities would think twice before pricking the balloon by raising electricity prices, and damaging the profitability of the Deripaska business. Once again, however, the Chinese way of nixing the capital transfer has been to wait. This is not for lack of resourcefulness to interpret the shifting political ground on which Deripaska’s businesses stand in Russia. Now one very important piece of that ground, literally, is title to the dams which generate hydroelectric power for Eurosibenergo, which it then sells to Rusal’s aluminium smelters in the Krasnoyarsk and Irkutsk regions at a 40% discount of the market price. Until now, according to agreements Deripaska arranged with the state-owned Federal Hydrogenerating Company (RusHydro – ticker HYDR:RU) in 2007, Eurosibenergo makes an annual leasehold payment for these dam properties of just $2.5 million. That’s a molehill price for a mountain – according to an influential Russian electricity sector analyst in Moscow, RusHydro values this freehold property it owns at the equivalent of $6.5 million per annum. That counts current cost plus depreciation, but without adding a rate of return on investment. Deripaska is paying three times less than the land and property owner, aka the Russian government, has calculated it is worth. RusHydro explains its takeover of the Deripaska dams this way: “According to the planned additional issue of 89 billion shares of RusHydro, several energy assets will be introduced into the charter capital of the company, in particular five dams of the Angara cascade. According to the Russian Federation Government Decree № 2461 29.12.2010-R, the company will get the right bank and left bank dams in the city of Bratsk (Bratsk HPP), the dam of the Ust-Ilim HPP in the city of Ust-Ilimsk, and also the right bank and left bank dams of the Irkutsk HPP. Currently, the Board of Directors of RusHydro has adopted a recommendation to approve the additional issue of shares. Then the matter will be examined at the AGM on June 30. The decision on the terms on which RusHydro will get the land under the named dams will be taken at the government level.” RusHydro’s current issue of 290 billion shares have a market capitalization of $14 billion. RusHydro’s strategy is to accumulate the free-floating assets which the state still holds as minority stakes in Deripaska-controlled hydropower generating units (HPPs), and then swap them for a 25% stake in Eurosibenergo. 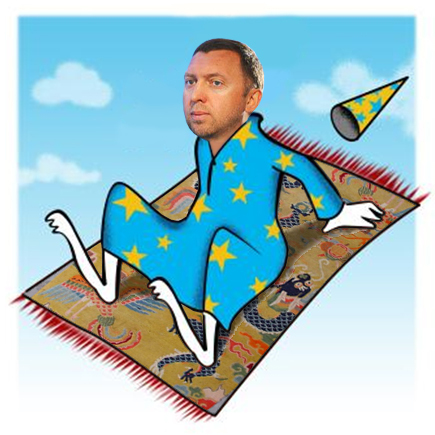 When that happens, and everything is clear for the future operating and financial control of Eurosibenergo, they will consider the “cornerstone” investment in a freefloat of Eurosibenergo shares Deripaska is offering – either as a private placement, or as an initial public offering (IPO) on the Hong Kong Stock Exchange. That in turn implies that Deripaska may be planning to agree with Deputy Prime Minister Igor Sechin, who supervises both the energy and metals sectors, that he will protect his privileged electricity tariff, and thus Rusal’s profit line, not only by the swap of state title to the dams, and state stakes to the hydropower companies into RusHydro, and thence into Eurosibenergo, but also by having his holding EN+ acquire an 8% stake (about $1.1 billion) of RusHydro. When Deripaska briefs investors in London and Hong Kong, he expresses confidence that he will control both the electricity price and the state shareholding process for tying Eurosibenergo to RusHydro. But those who have heard the pitch say they are sceptical. One influential international bank source asks whether the RusHydro takeover of the dams is a signal that, in time, the government officials who control RusHydro, up to and including Sechin, do not intend to allow Deripaska to convert electricity sales profit into Rusal profit and into personal dividends. The current planning timetable indicates that even if RusHydro starts its new share issue in july, that won’t be completed until the first quarter of next year. The presidential election takes place in March, and the new government, including a decision on Sechin’s future, won’t be formed until April or May. “We can expect the [RusHydro-Eurosibenergo share] swap not earlier than the first quarter of 2012”, says Sklyar of Renaissance Capital. Privatization of a bloc of RusHrdo shares is much further off in the future – possibly not before 2013. But then what? If and when RusHydro takes a 25% shareholding in Eurosibenergo, is the Kremlin likely to insist on a higher annual lease payment for the dams? According to some power sector analysts, this is unlikely. State policy is to influence electricity and asset prices, they believe, not take operational control at Eurosibenergo, or damage Deripaska’s business. Others warn that Deripaska is on the same short leash which his co-shareholder in Rusal, Victor Vekselberg, once was, when Vekselberg owned SUAL and was trying to negotiate a similar privileged power supply scheme. SUAL failed, and was forced by the Kremlin, first into sharing its projects with Rusal, and then in 2006 to merge entirely. As Vekselberg struggled with the state electricity conglomerate, called United Energy System (UES) at the time, he was told the Kremlin considered his aluminium to be a solid form of their electricity. 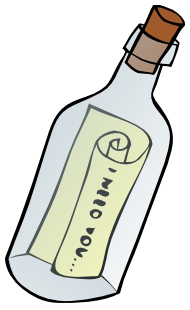 That’s the message in the bottle still floating towards Deripaska. There is a second bottle with another message. But it isn’t quite what EN+ meant everyone to understand when it issued its interpretation of a memorandum of understanding signed on June 16 with the Export-Import Bank of China. According to the EN+ announcement, Artyom Volynets, chief executive of EN+, signed for Deripaska, while the Chinese signature was that of the Exim Bank’s chief executive, Li Ruogu. Witnessing the signing were President Dmitry Medvedev and President Hu Jintao. EN+ headlined the signing as a “US$5bln Cooperation Agreement for development of mining and power projects.” The Chinese president’s office communiqué refers to it as a “cooperative document”. According to EN+, “the agreement stipulates China Eximbank will provide funding for the construction of power generation plants, development of coal fields as well as iron ore and copper concentrate projects in Eastern Siberia pursued by the companies of En+ Group: EuroSibEnergo, Tuva Mining Company and SMR specifically. The funding of up to US$5bln will be provided on a project finance basis.” That last line is the giveaway. Until and unless the Chinese are satisfied with project terms, there will be no money. What the announcement doesn’t admit is that current Russian law disallows a private company like Eurosibenergo from exporting electricity. As Gazprom retains the state monopoly on export of gas, and Transneft the state monopoly of piping crude oil across the border, the monopoly for export of electricity is reserved to Inter RAO UES, which is 82% owned by the state. Eurosibenergo could try to borrow several billion dollars of China Exim Bank money to build new hydroelectric dams and generating plants. The water may belong to the state; the dam property may belong to RusHydro, the turbines and plant to Eurosibenergo, along with the output. But this cannot be exported by Eurosibenergo. “Noone has ever done that,” says a Russian hydropower expert. “In theory, EN+ could do it. In reality, the problem is that there are limitations on cross-border trading of electricity. Only Inter RAO can export. If the Chinese want [the plants and power], they would have to deal with Inter RAO”. There is thus no Chinese cure for Deripaska’s lack of cash, at least not in the short run. And in the long run, as the English economist J.M. Keynes said, “we are all dead.” The Chinese are waiting to see how soon, according to the Kremlin’s strategy for dividing up the profit from electricity sales, that may apply.